WEST PALM BEACH, Fla. — The International Hot Rod Association (IHRA) Summit SuperSeries, the largest and most prestigious bracket racing program in drag racing, will return for a 17th straight year in 2018. The $200,000 program is the World Championship for over 8,000 IHRA member-track racers each season. Summit Racing Equipment, the official mail order company of IHRA, sponsors this program for thousands of grassroots racers at nearly 100 IHRA-sanctioned member tracks. The Junior Dragster payout last season included a brand-new, turn-key JR Race Car junior dragster featuring a custom paint scheme by Jerron Settles of Imagine That Customs, plus $3,000 to win. The rest of the point funds is $2,000 for runner-up, sixth-round $1,000, fifth round $800, fourth-round $500, third-round $400, second-round $350 and first-round $300. Tom Gall (Top; Thunder Valley Dragways), Chris Black (Mod; Quaker City Motorsports Park) and Luke Schwemier (Junior; Grand Bend Motorplex) were 2017 IHRA Summit SuperSeries World Champions. 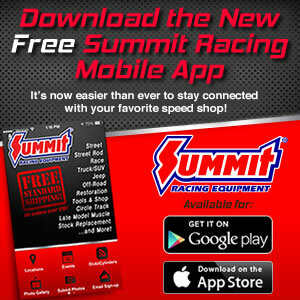 “It takes the entire family of racers, member tracks, and support staff working together with Summit Racing Equipment to move the Sportsman racing component of IHRA Drag Racing to the incredible level of support and enthusiasm we have today. We are proud to continue our efforts in this successful program,” Peaco added. For more information about the IHRA or to become a member, please visit ihra.com, or follow along on social media - Facebook, Twitter and Instagram.